1 / Brush all your hair back towards the back of the head. 2 / Grip the hair so it forms a diagonal with your chin and the top of your ears. 3 / Wrap it with an elastic band. 4 / Smooth the hair back with your fingers and mist with hairspray to keep it in place. 5 / Curl the hair with a curling iron to smooth the ends. 6 / Back comb the hair right above the elastic band to create volume. 7 / Take a section of hair from the ponytail and wrap it around the elastic band. 8 / Secure the hair in place with a bobby pin. Check out these other great posts featuring ponytails! 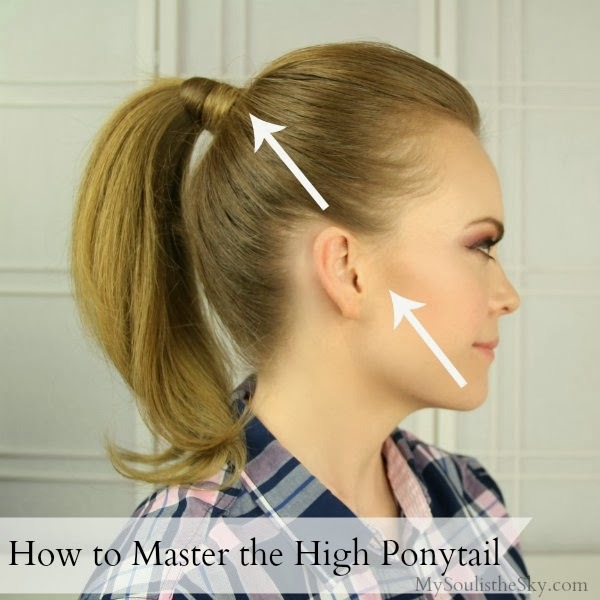 The Perfect Pony and the Sleek Low Ponytail! how to do the last step ! i am always bad at wrapping and pinning the hair !